The title may seem weird since sneakers are shoes but this advertising line from the classic and well-loved Converse All Stars brand just stuck to me. Now that winter is almost upon us, keeping our feet warm and dry must be a top priority. Catering to the young and the hip market, the new collection of winter sneakers from Converse is just, what can I say, COOL! The good news is long out: the Chuck Taylor All Star Rock Craftmanship Collection for Autumn/Winter 2013 is out and good to keep you hip and cool during the cold season. The Chuck Taylor All Star Collar Studs: with spikes, rivets and zippers - the perfect silhouette for those who want it a little bit higher. 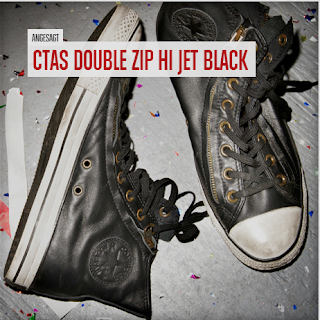 The Chuck Taylor All Star Double Zip: it's got zippers on both sides of the shoe. The washed-out used look and frayed edges gives it a worn feel and a rockin' touch. The Chuck Taylor All Star Animal Prints Collection: a burst of colors and leopard prints. 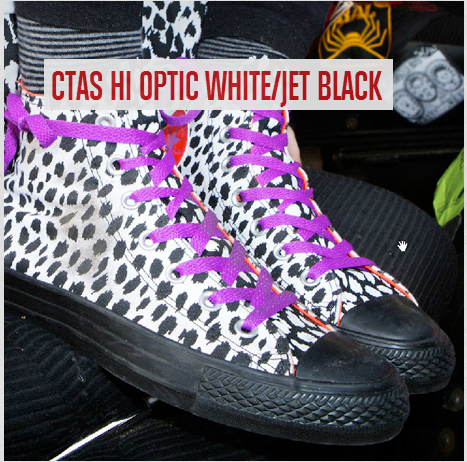 The Chuck Taylor All Star Studded: also available in washed-out used look. The rivets run around the back of the shoe and along the laces.